How to visit Croatia ? Croatia, officially the Republic of Croatia, Croatian and Hrvatska Republika Hrvatska listen, is a country in Southern Europe that extends from the eastern end of the Alps, on its borders in the north-west and the Pannonian plains northeast to the shore of the Adriatic Sea to the south through the mountainous center of the Dinaric Alps. It is surrounded by Slovenia, Hungary, Serbia, Bosnia-Herzegovina and Montenegro. Its capital is Zagreb. 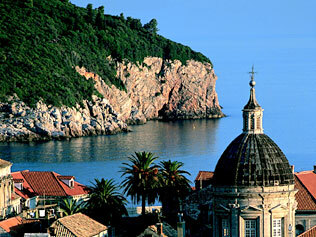 Croatia is a candidate for accession to the European Union, it will join on 1 July 2013 and is a member of NATO. Major cities in Croatia are Zagreb (the capital), Split, Dubrovnik, Rijeka, Osijek, Karlovac, Zadar, Brod, Velika Gorica, Pula, Šibenik, Varaždin, Bjelovar Vukovar, Čakovec. How to go in Croatia ? By Bus, The French company Eurolines serves Croatia. By plane, The air routes between France and Croatia, provided by very few companies are unfortunately overpriced, including flights to Dalmatia (Split, Dubrovnik) during the summer. By boat, Many boats taking the car runs daily between Italy and Dalmatia during the summer. The most common link connecting Split to Ancona, but many other lines exist. By train, The rail network connects all major Croatian cities. There are direct lines from Austria, Czech Republic, Switzerland, Germany, Hungary, Slovenia, Italy, Bosnia and Herzegovina, Serbia, and Greece. There are indirect lines from almost all other European countries. By car, From France: Expect a good day road starting from Lyon before crossing the Croatian border. Possibility of camping in Italy to Verona or Lake Garda, for example. from the north, another route is through Germany, Austria and Solvenia successively via Munich, Salzburg, Villach and Ljubljana. Austria and Slovenia, several long tunnels along the highway you will pass under the Alps. From Belgium: Brussels starting, it takes a good couple of hours to get to the Croatian border to Maribor / Ptuj. Itinerary: Brussels-Cologne-Frankfurt-Nuremberg-Passau-Linz-Graz-Slovenia-Croatia. Tolls and taxes, nothing in Germany, Austria and vignette toll in Alpine tunnels, tolls in Slovenia (cheap) and Croatia (more expensive). The prices are often a little cheaper than in the EU, but do not expect to pay nothing. A cheap restaurant, even in tourist areas, offers dishes of spaghetti or pizza between 35 and 50 Kn. Service is included. We must think about adding to the price of food, the drinks (about 20 Kn for a one liter bottle of mineral water almost mandatory, it takes a lot to get used to emphasize the tap water). Food is often simple little card provided (risottos, goulachs, pizza, meatballs, ham), but the products used are fresh and are actually cooked and not reheated – for this reason, it is often expected in the long restaurants. Ajvar is also found, of cevapcici or pleskavica, especially in the interior of the country. It is generally used to eating in restaurants, cafes merely serve as taverns, glaciers and sometimes tea. In the restoration, the service is often confusing for non-Croatian: slow, disorganization, extreme detachment servers – very poorly paid – which sometimes refuse to serve a customer they are sitting too far and may even forget to bring the bill! This is a legacy of the communist period. In grocery stores, there is a relatively small number of products, and almost no products from organic agriculture. Some local products, such as figs, are also difficult to find in stores, people are at home and they do not think to sell.